Stars in a Jar will connect childhood cancer survivors with children on active treatment. We strive to provide these young warriors with the message of hope, strength and of a life after cancer. 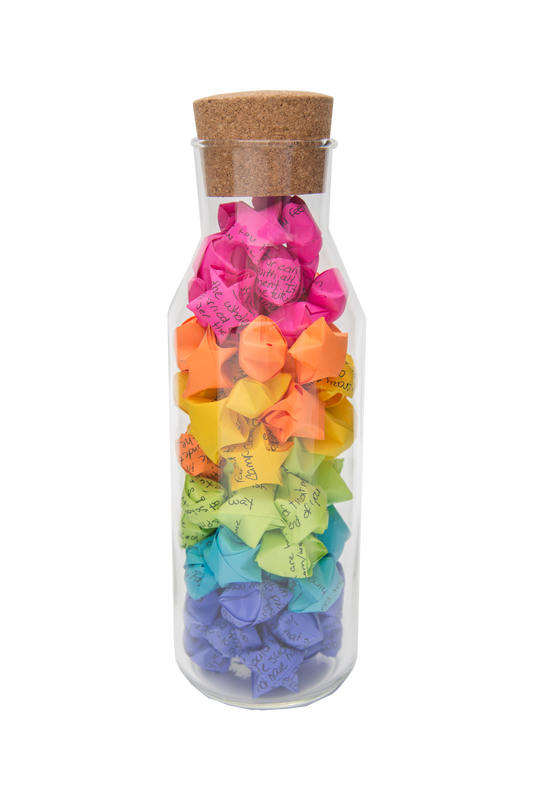 Each Jar is its own connection to a specific survivor, glimpses of their journey and their messages of hope are recorded on origami stars for a patient to unfold and discover. ​We are working to serve the Ottawa and Toronto areas and are looking for survivors to add to our upcoming roster, and volunteers to help make a young patient's day a little brighter. Very thankful for the wonderful article posted by the CBC and radio interview with Ottawa Morning's Robyn Bresnahan. Stars in a Jar is proud to announce 2 new survivor jars have launched and are available today. Welcome to the roster, Matt and Emily! Check the new jars out here! New and Exciting Partnerships on the way! Stars in a Jar Toronto Chapter is proud of their new partnership with the Ontario Parents Advocating for Children with Cancer (OPACC). OPACC's mission is to provide a voice for families with children diagnosed with cancer across the Province of Ontario. Stars in a Jar Ottawa Chapter is proud to announce their new partnership with The Phoebe Rose Rock Foundation. Their aim is to to raise awareness and funds for childhood cancer research. For more information, please contact us. Your volunteerism contributes to our ability to deliver jars at no cost to patients.